Sonido Costeno recordings and tracks. Sample a Sonido Costeño performance. Gallery of photographs from Sonido Costeño performances. 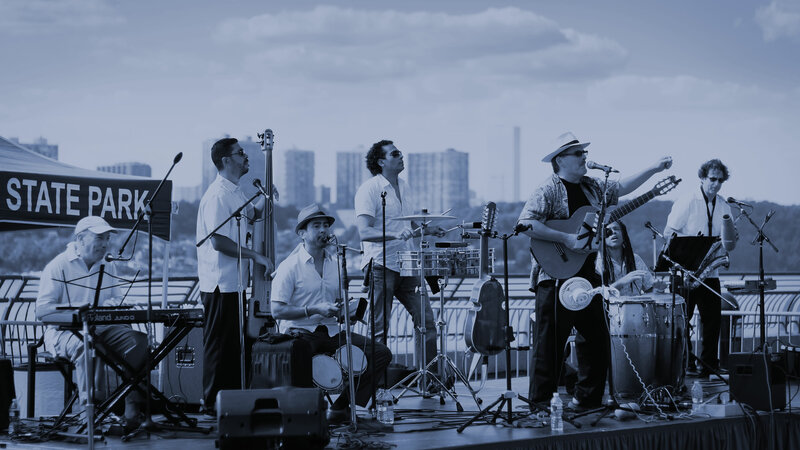 Sonido Costeño (SC) is a modern day latin band in New York City. 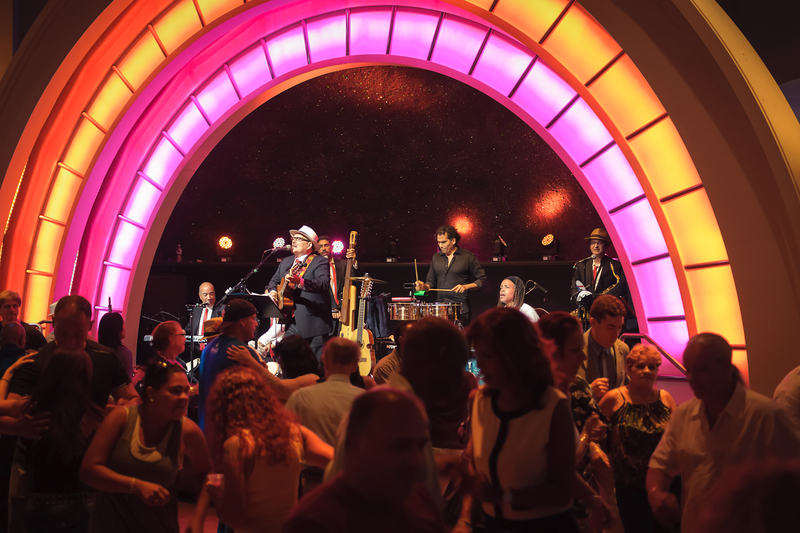 Their high energy music is a creative fusion of latin music and salsa along with other world music and their fabulous concerts transform their club audiences into dance hall performances. Sonido Costeño’s “staying power” is seen by the ensemble’s growing loyal fan base from not only the New York City area (Manhattan, Bronx, Brooklyn, Queens) but also the tri-state area and abroad. JuanMa Morales, founder of Sonido Costeño is a Cornell Graduate and Julliard alumni. Morales leads the band as vocalist and plays guitar as well as the Puerto Rican cuatro (the island’s national instrument). Las Gaviotas (The Seagulls) and Senora (My Lady), two of Morales’ original songs, have won the Billboard Songwriting award. 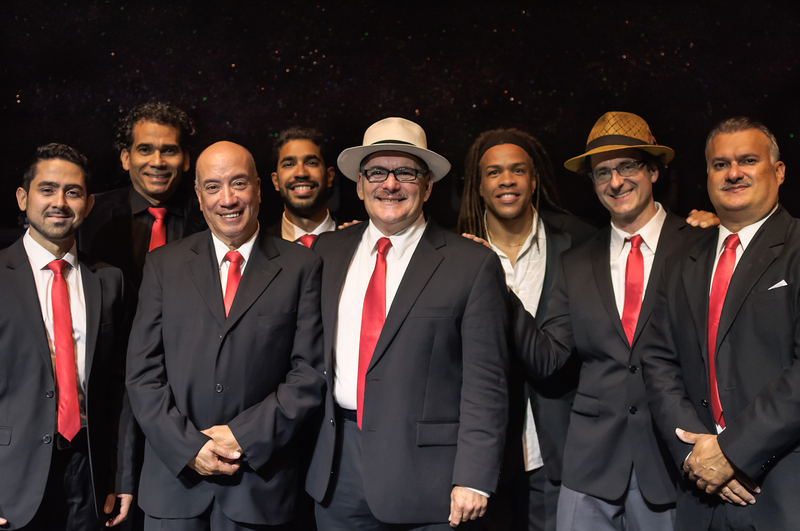 Under Juan Ma’s dynamic leadership, Sonido Costeño play diverse salsa rhythms, enticing “salseros” and non-salsa dancers alike to move onto the dance floor. The band’s dance repertoire includes: Son Cubano, Nueva Trova, Boleros and Ballads, Cha Cha Cha, Mambo, Guaguanco, Latin Jazz, and the band is known to play a Merengue and Bachata or two. Their unique sound appeals to broad and diverse audiences from all generations. Sonido Costeño’s solid reputation to deliver the best quality entertainment has lead them to perform at many of New York’s best cultural institutions such as The Brooklyn Museum and El Museo del Barrio. They have been included in other reputable festivals during summer events such as Celebrate Brooklyn, The Highline, Brooklyn Botanic Garden, Harlem Meers in Central Park and River Bank i in Washington Heights in Manhattan. They excel in entertaining at community events such as Bronx Library Center, senior centers, weddings and private parties. Their stellar performances, however, are best enjoyed at NYC’s finest clubs, restaurants and casino’s such as: Havana Central, Subrosa, Sounds of Brazil (SOB), Gonzales y Gonzalez, Empire City Yonkers Raceway and The World Resorts Casino where you can also dance to their enticing sounds. Their unique repertoire goes beyond "salsa and resonates with American modern jazz influences. They are "a must see… a must hear"